“Now in its third year, the High Tide festival is based in the small Suffolk town of Halesworth and exists primarily to promote new writing. It has already notched up a big success with the London transfer of Adam Brace’s Stovepipe. Having seen two of the three plays on show this year, I would confidently predict an afterlife for Lucy Caldwell’s Guardians: the second in a Belfast trilogy that began with Leaves, seen at the Royal Court in 2007. Caldwell’s gift is for exploring the texture of domestic unhappiness. In Leaves, she dealt with the impact on a middle-class family of their daughter’s aborted suicide. Here, she shows how young love can go disastrously wrong. Molly is an American doing a thesis on post-conflict societies, and Conor is a Belfast-born law student. Having met and married hastily in Indiana, they come to Northern Ireland to house-sit for a year in Conor’s parental home. 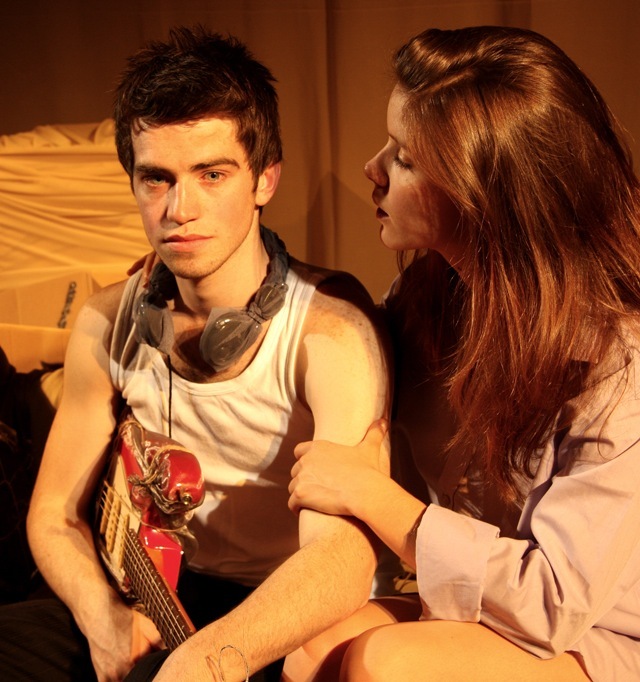 Although they seem very much in love, rifts soon appear: Molly feels an outsider in Belfast and finds her academic work blocked, while Conor is unable to cope with Molly’s idealised vision of him as a talented musician. Within a few months they part, apparently irrevocably. What Caldwell understands very well, in a manner reminiscent of Rattigan, is the inequality of passion: Molly simply has a capacity for love more profound than that of her young husband. While the theme may not be startlingly original, Caldwell invests it with a wealth of enlivening detail. Denied a family wedding herself, Sonya Cassidy’s wonderfully touching Molly sits alone desolately watching home movies of other people’s nuptials. There is something equally poignant about the admission of Andrew Simpson’s law-obsessed Conor that he is not as interesting as his wife once thought.